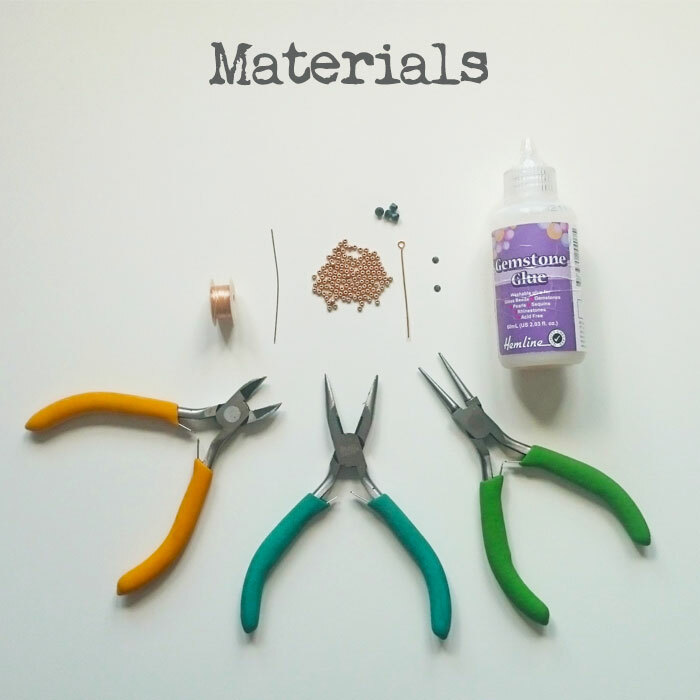 Today, we have another free jewelry making tutorial for you! 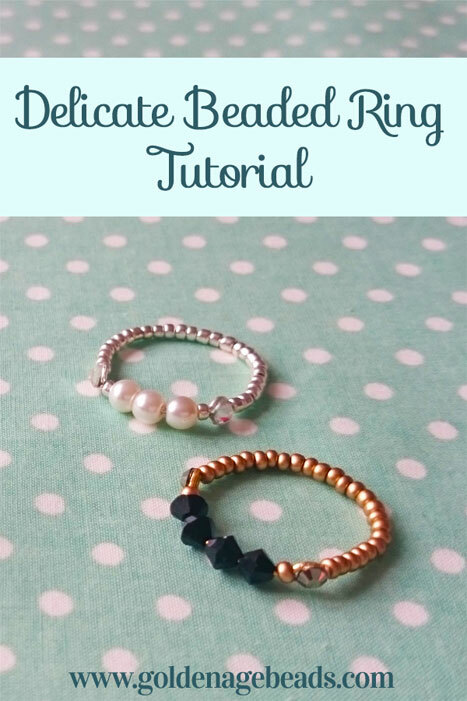 You’ll find below a step by step guide to show you how to make a delicate beaded ring. Beaded rings are a lot of fun to make and they tend to work up pretty quickly. Once you’ve got your materials together, you should be able to make this project in around 30 minutes! Carefully bend the eye pin a little to make it curve. 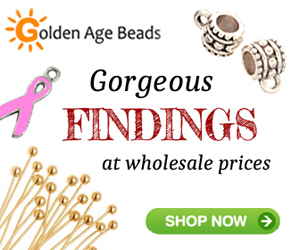 Pick up 1 x seed bead, 4 x crystal bicones (or other focal beads) and 1 x seed bead. 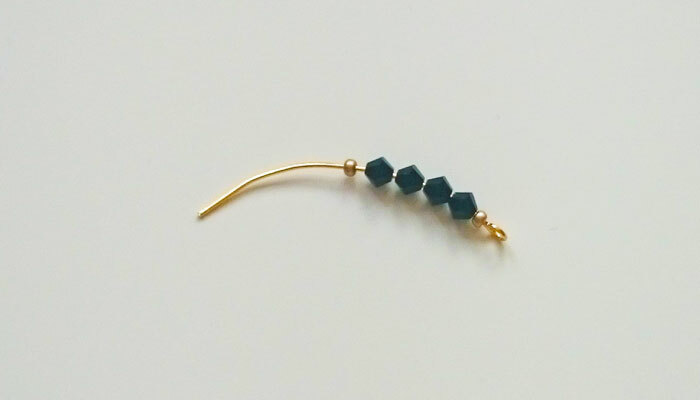 Trim the eye pin wire with your wire cutters, until you have 10mm of wire next to the last seed bead. Use your round nose pliers to make a loop, exactly like the loop at the other end of the eye pin. This piece will now form the top part of your ring. Make sure that the loops at each end of the eye pin are flat and even. Bend this component a little more with your fingers until it fits perfectly around the top of your finger! 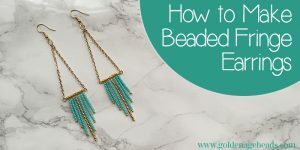 Thread your beading needle with the beading thread and choose any bead you like for a stop bead (you should be able to tell it apart from your seed beads). 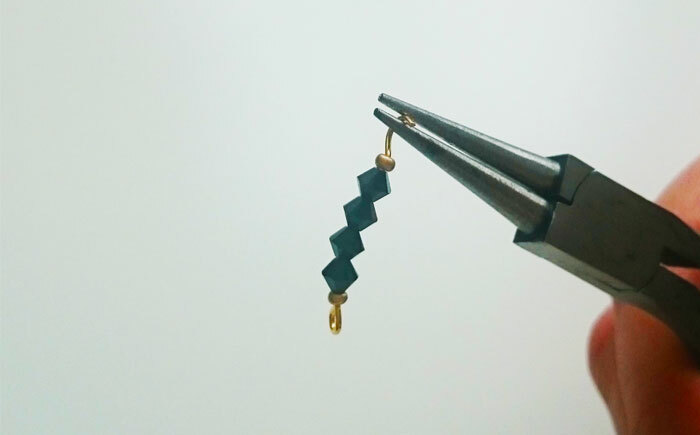 To make the stop bead, simply pick up this bead onto your needle, slide it down the thread and go back through the bead in the same direction. 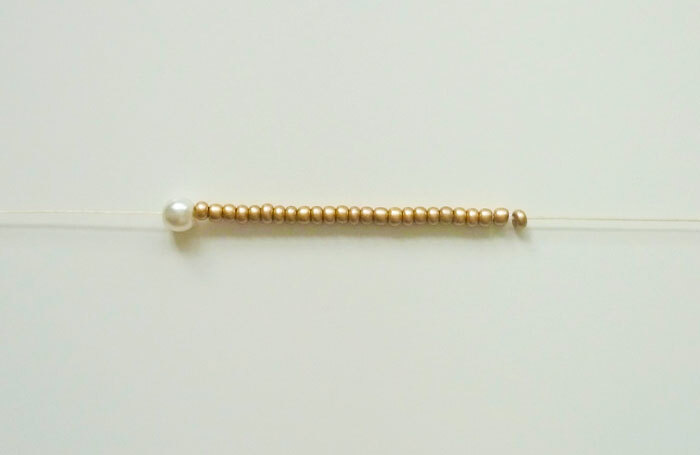 This bead will stay in place and stop your seed beads from falling off the end of the thread. 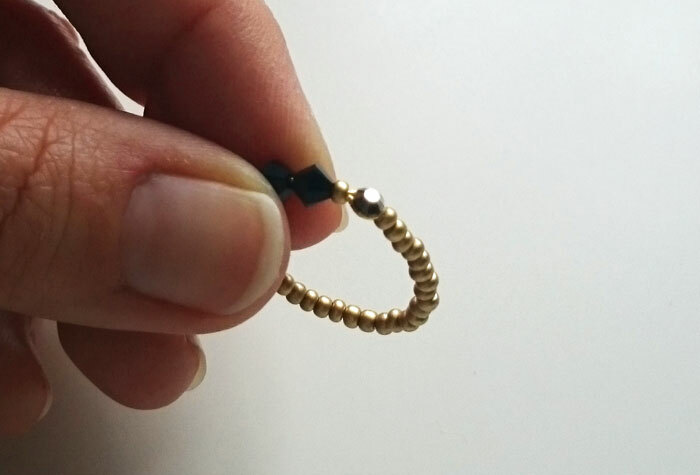 Once you have your stop bead in place, pick up as many seed beads as you need to form the band of your ring. You’ll need to keep measuring this around your finger as you work to get an accurate measurement, while leaving enough room for the top part of the ring! This might be a bit fiddly, but stick with it! 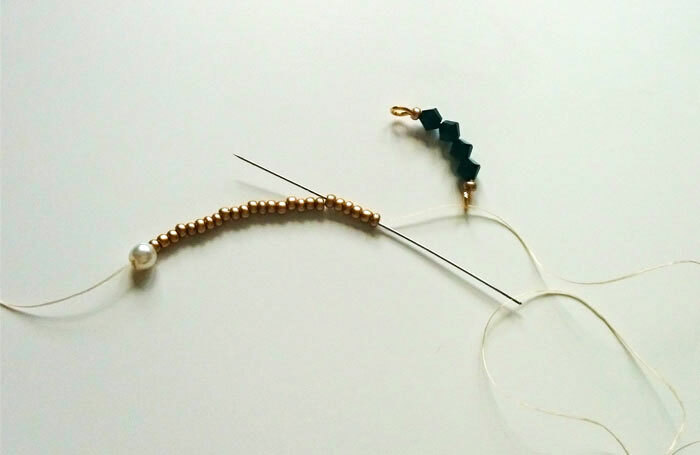 Once you have enough seed beads on your thread to make the band, thread your needle through one of the loops in the eye pin component and go back down through the beads to secure the band to the loop. 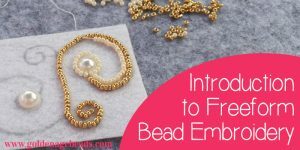 Go back through all the beads on your thread, until your needle exits out of the first seed bead that you threaded on. Then thread your needle through the loop on the other side of the component and go back through all the beads again. 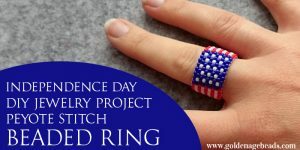 If you want to reinforce the ring band even more, you can sew through the beads again by going back through the loop and back through the beads. 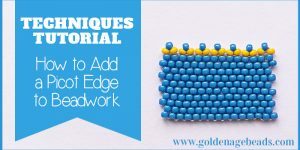 Tie a double knot in your thread with your needle, somewhere in between the seed beads and sew through another few beads before cutting the thread. At this point you can also remove the stop bead and trim the tail thread off. To hide the wire loops and the thread, glue a flat back sparkly diamante onto the tops of each of the loops. 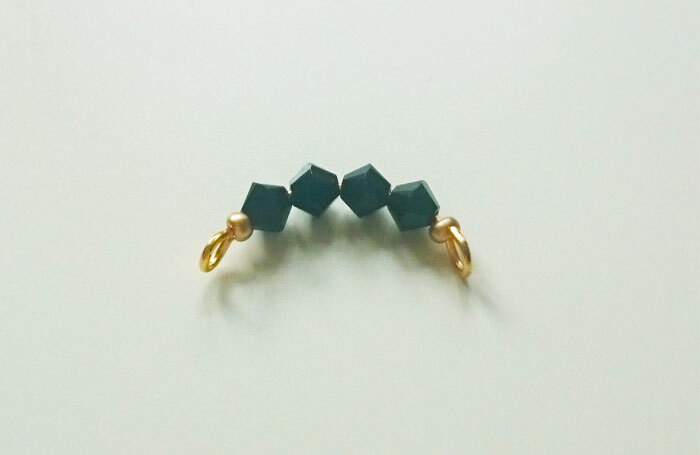 Gemstone glue is strong enough to stick these on and keep them in place! 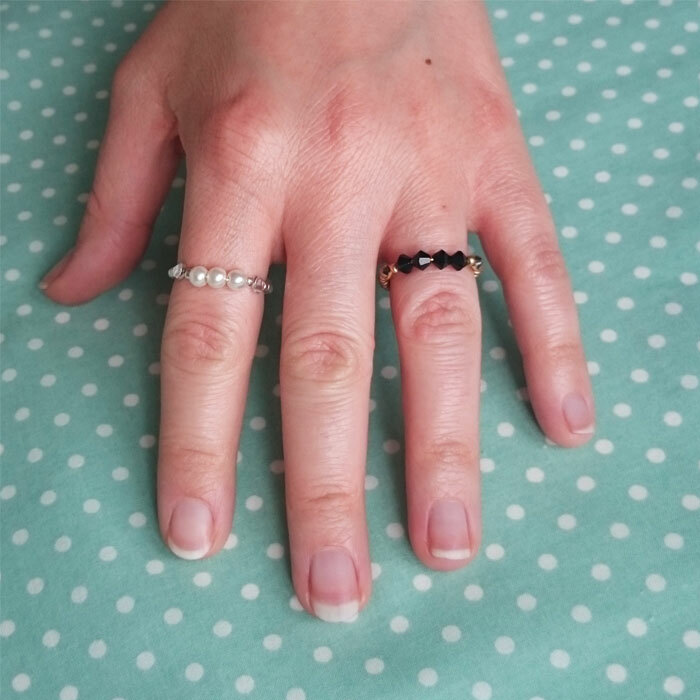 Leave to dry for around 10 minutes and then your delicate beaded ring is ready to wear! 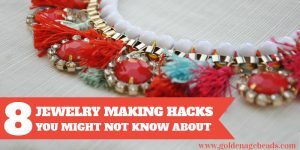 We hope you enjoyed this free jewelry making tutorial. You might want to check out our other tutorials here. Please take a moment to share this post with your followers! 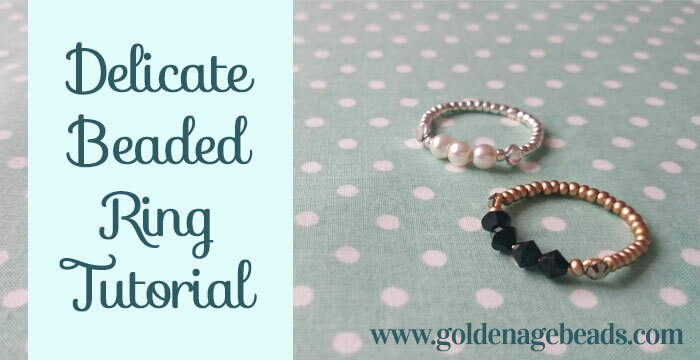 I’m really interested in making jewelry and I Love this ring tutorial. Thank you. Looking forward to seeing more of your website. Lisa.